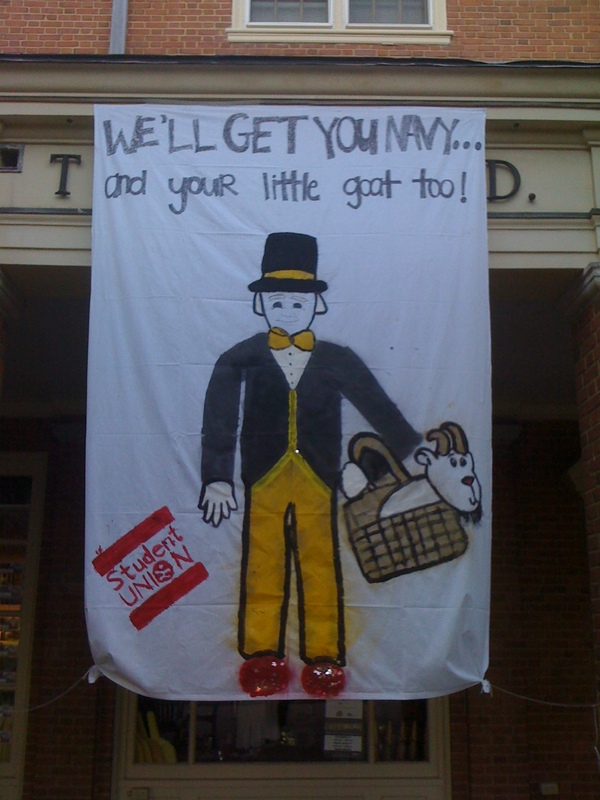 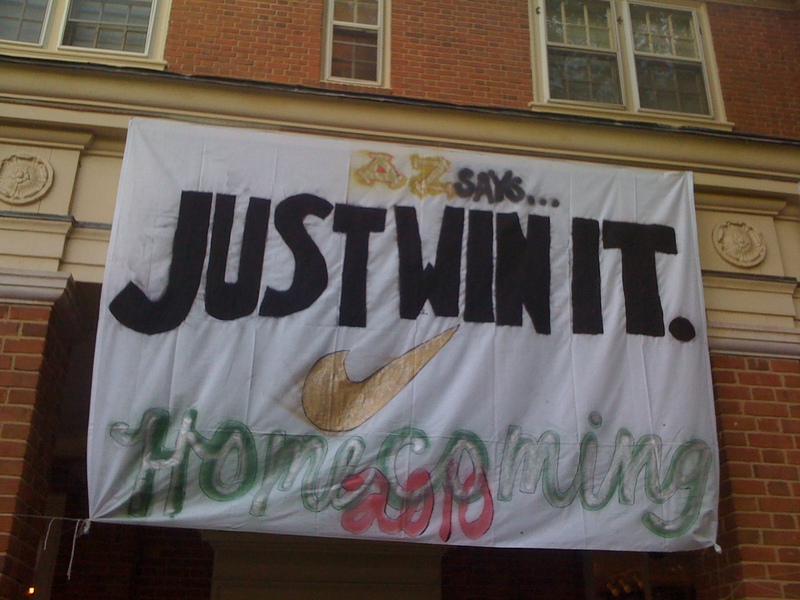 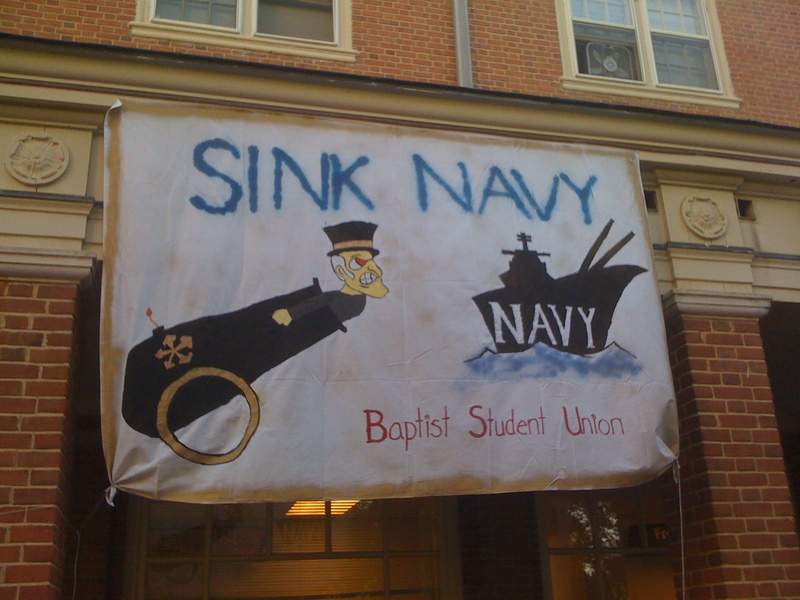 It’s Homecoming Weekend at Wake Forest and there is plenty of school spirit in the air. 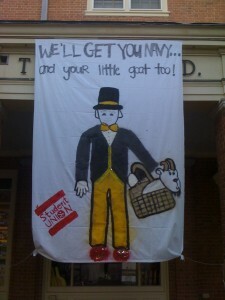 Student Union has had a week of extensive activities and programming for students. 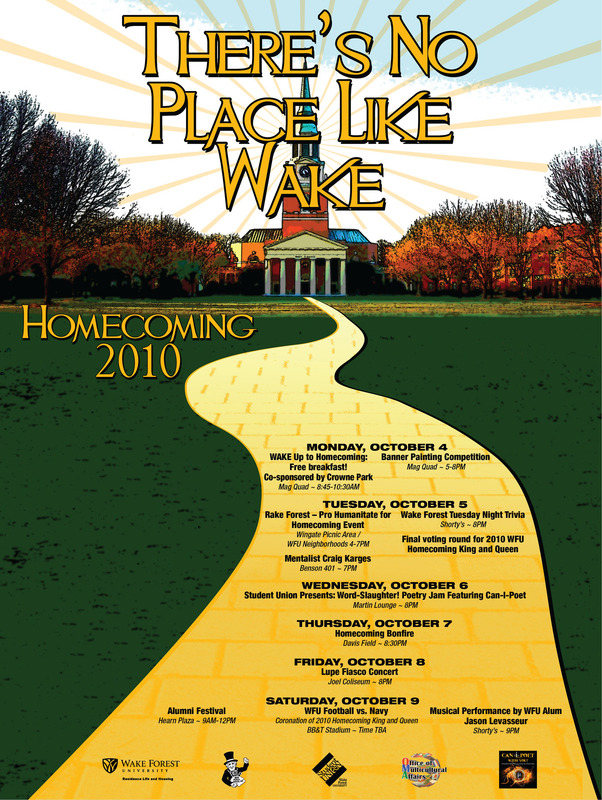 Their theme this year is “There’s No Place Like Wake” and the Homecoming poster they created plays off that same Wizard of Oz theme. 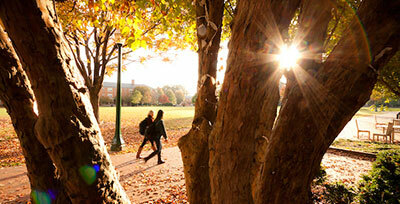 Tonight’s a big night on campus because Jay Bilas of ESPN will be here as part of our Voices of Our Time series. 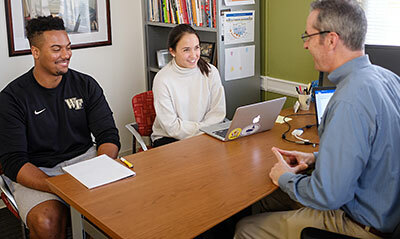 He will join President Hatch and Ron Wellman to discuss college athletics. It’s free and open to the public and ought to be an exciting event. At 8:30 is the Homecoming Bonfire on Davis Field, which is historically a great event with lots of students. 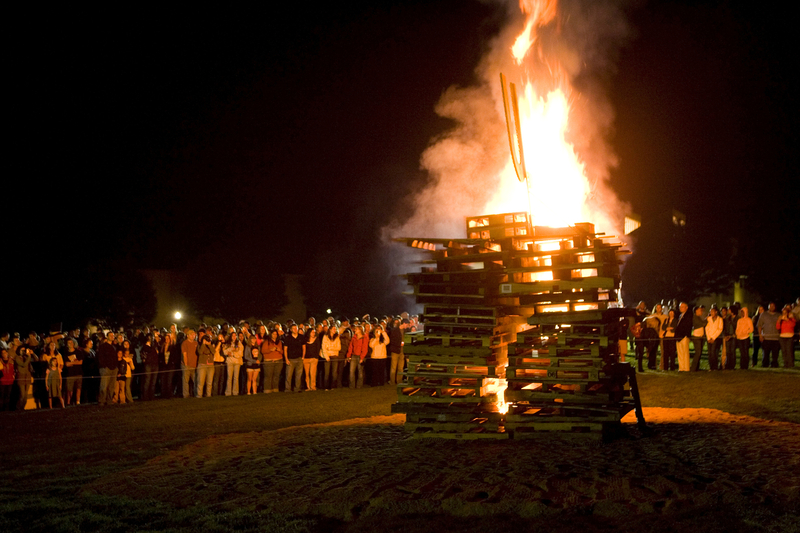 For those of you who are alumni parents, you’ll want to be sure to review the Homecoming web site with all official activities for alumni. 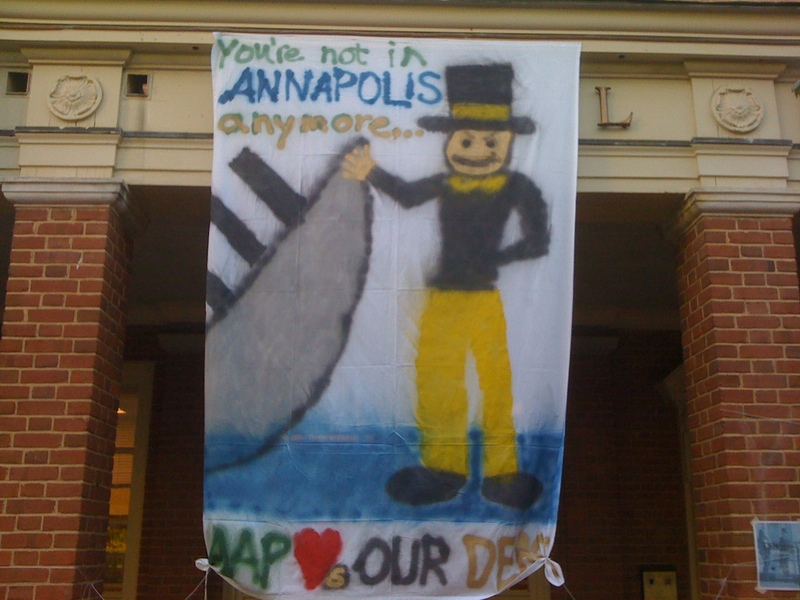 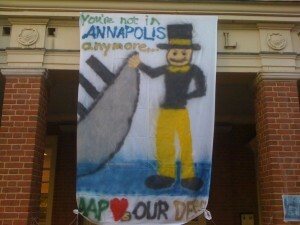 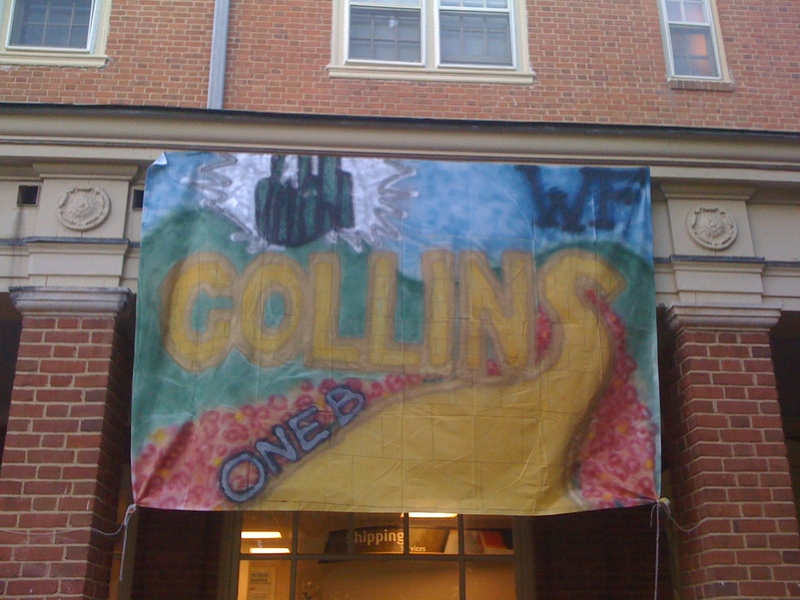 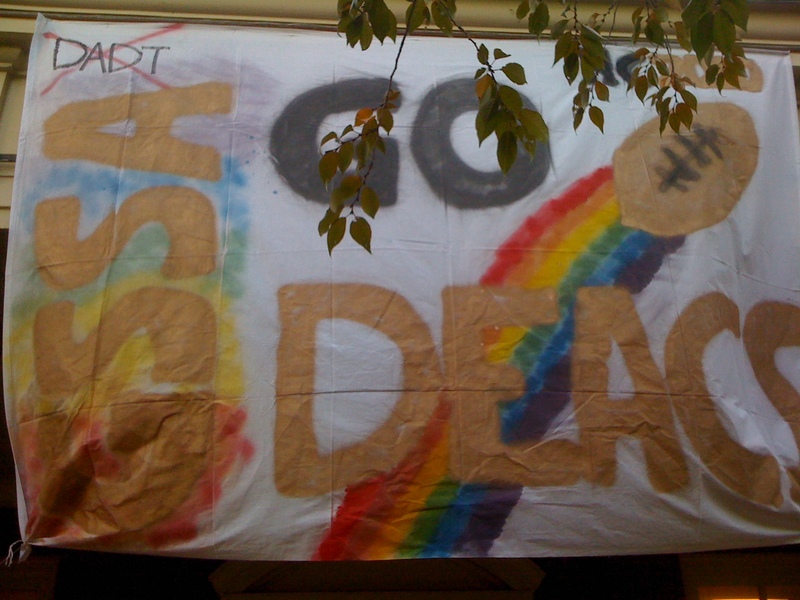 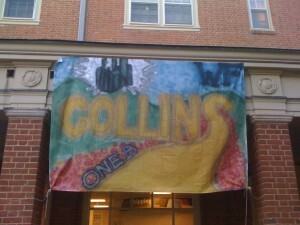 In honor of Homecoming, all over the Quad are banners made by student groups. 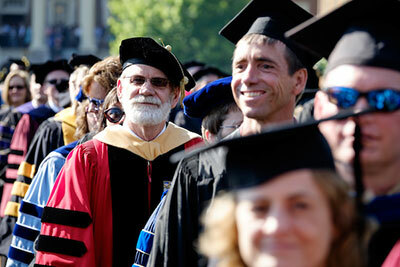 Here is a small sample of the artful and creative offerings. 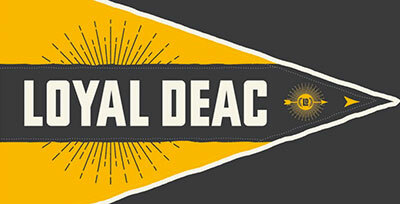 Go Deacs!